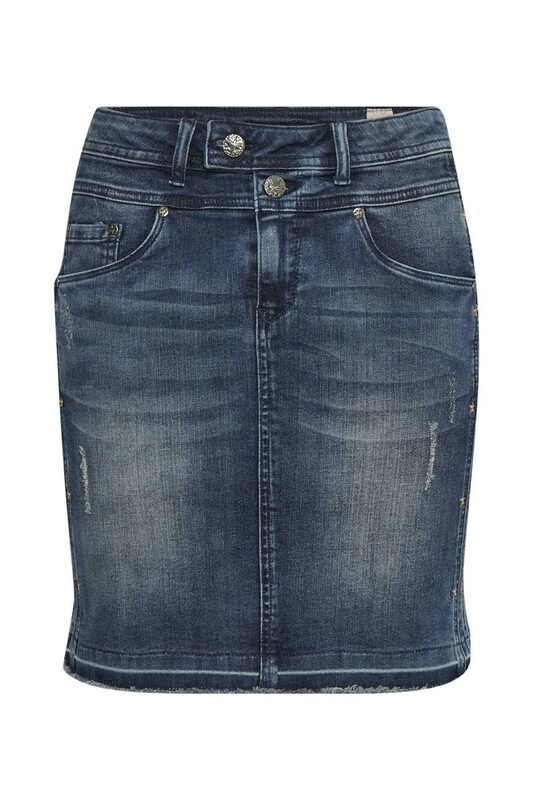 Nice and classic jeans skirt in a cool wash with a lot of nice details. 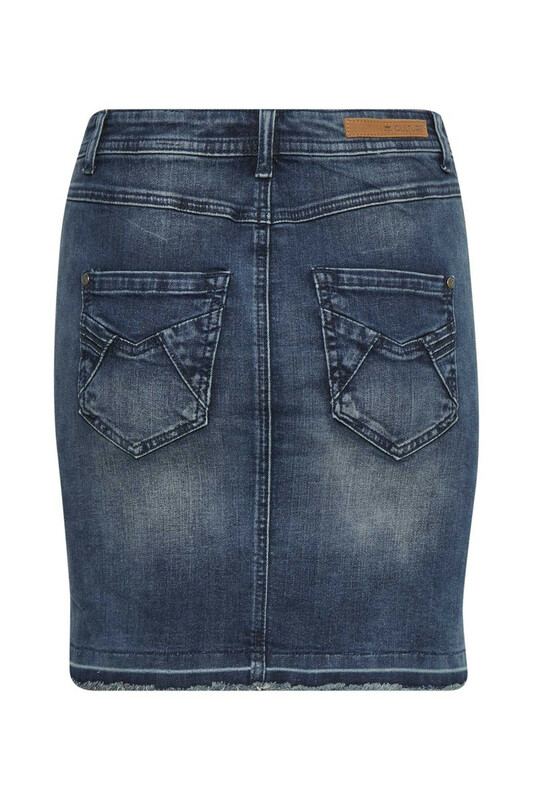 The skirt has a regular fit and the length goes straight over the knee. 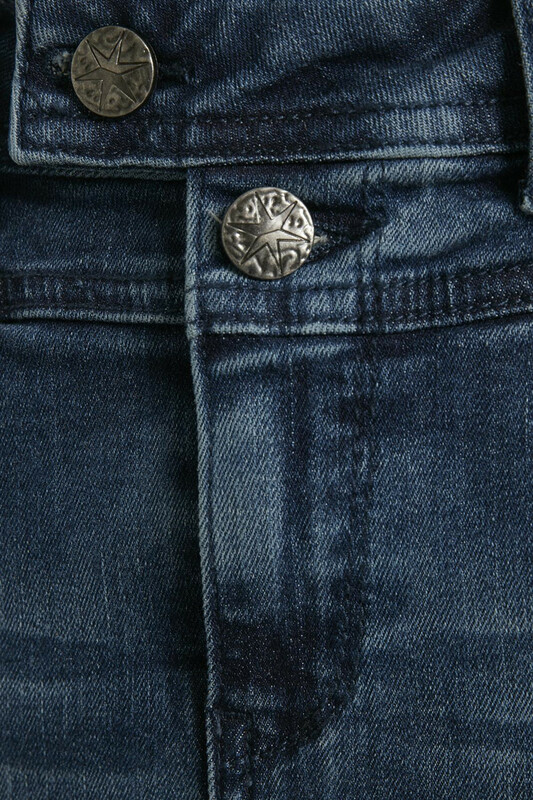 It has bold details down the side and closes with button and zipper.